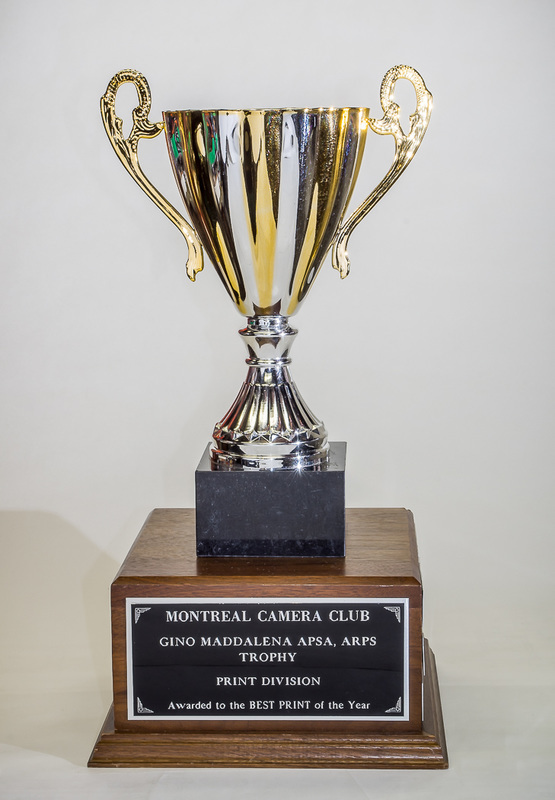 In 1955, the Montreal Camera Club set up an Honours Committee, under the chairmanship of Walter F. Wood, the purpose of which was to supervise the awarding of the Club Trophies and also to set up Honours Awards which were intended to recognize members' photographic achievements, as well as service to the Club and to photography in general. 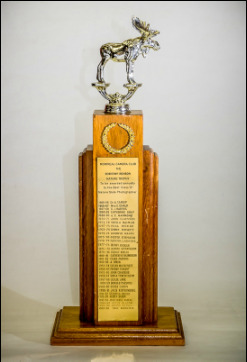 These are awarded annually based on the accumulated results of the monthly Club Competitions. 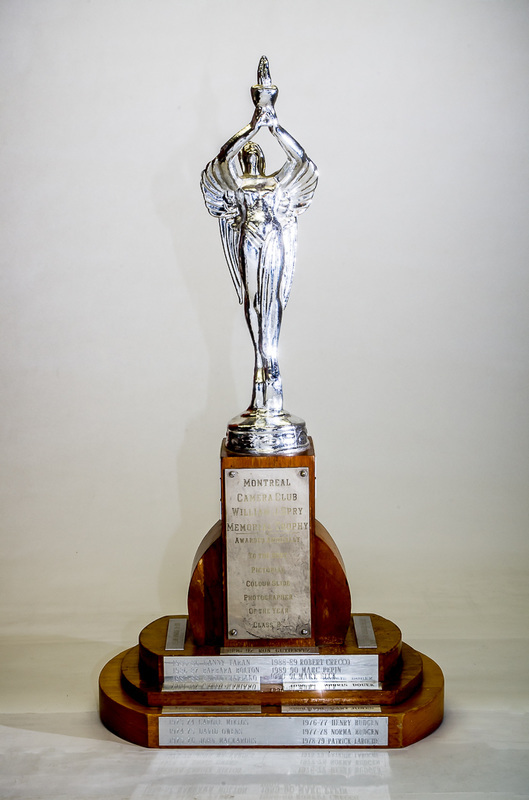 The Fred Burgess Memorial Trophy is awarded to the Class A member having the highest aggregate score for 12 Pictorial Images submitted during any one year. It may be won any number of times by the same member. 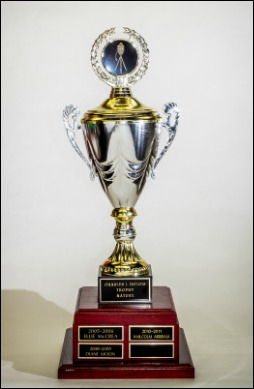 A certificate will be awarded to the runner-up. 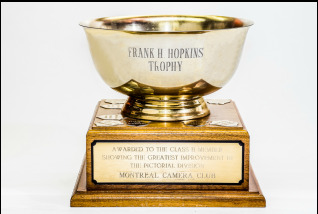 The Philip J. Croft Memorial Trophy is awarded to the Class A member having the highest aggregate score for all 15 Pictorial Images (maximum possible entry) submitted during any one year. 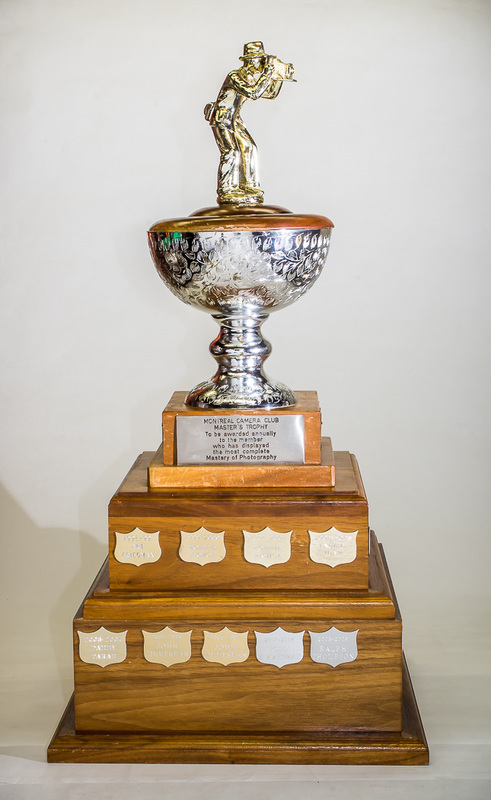 The winner of the Fred Burgess Memorial Trophy in that same year will not be eligible. 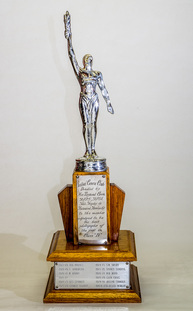 The William Spry Memorial Trophy is awarded to the Class B member having the highest aggregate score for 12 Pictorial Images submitted during any one year. It may be won only once by any member. A certificate will be awarded to the runner-up. 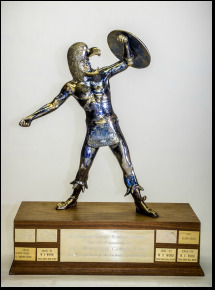 ​The Kennon Cooke Trophy is awarded to the Class B member having the highest aggregate score for all 15 Pictorial Images (maximum possible entry) submitted during any one year. 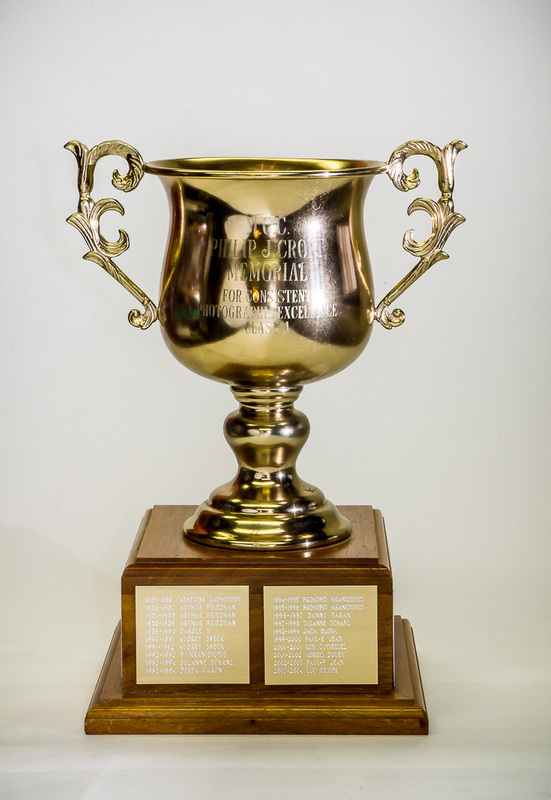 The winner of the William Spry Memorial Trophy in that same year will not be eligible. 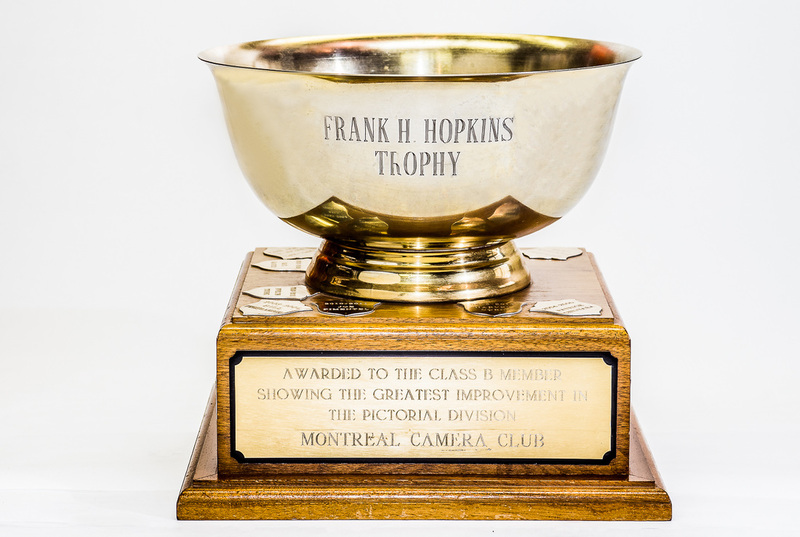 ​The Frank Hopkins Trophy is awarded to the Class B member who showed the greatest improvement in performance from one year to the next. The award will be based on the member's best 12 entries for each season and a minimum improvement of 12 points between years. To qualify, the photographer must be a Class B member in the first of the two years under evaluation. 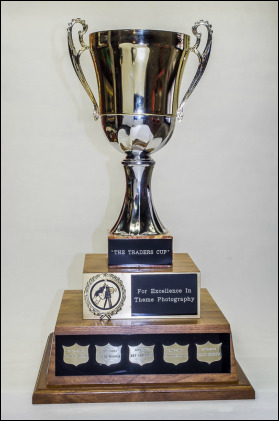 ​The Chic Harris Memorial Trophy for creative photography is awarded to the photographer having the highest aggregate score for five (5) “Creative” Pictorial Images submitted during any one year. Each of the five images must have been awarded an Acceptance. It is open to all members whether of Class A or B and may be won any number of times by the same member. All five images must have been identified as “creative” at the time of entry. 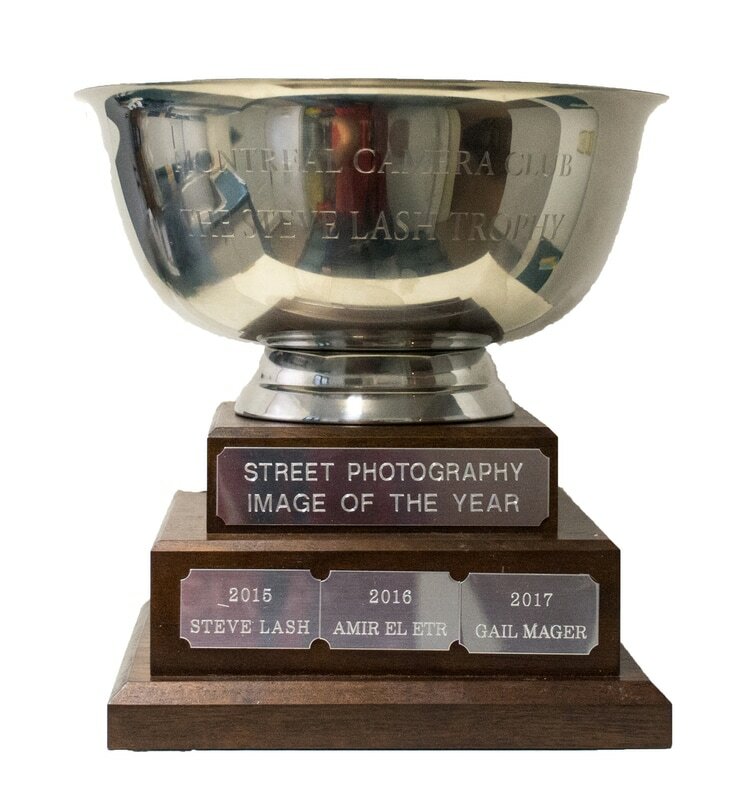 The Street Photography Trophy is awarded to the photographer having the highest aggregate score for five (5) “Street Photography/Photojournalism” Pictorial Images submitted during any one year. Each of the five images must have been awarded an Acceptance. It is open to all members whether of Class A or B and may be won any number of times by the same member. All five images must have been identified as “street photography” at the time of entry. Awards are given to each of the makers of the Pictorial Image, Street Photography image and Creative Image chosen as the best of all accepted Pictorial Images submitted during any one year. It is open to all members whether of Class A or B and may be won any number of times by the same member. 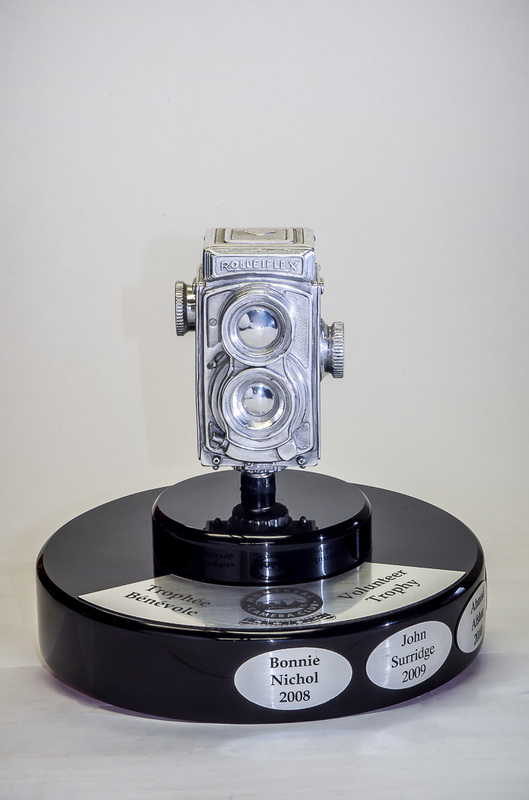 ​There is a trophy for Pictorial Image of the year (see right) and a trophy for Street Image of the Year (see below). There is however no trophy for Creative Image of the Year. A certificate will be awarded. 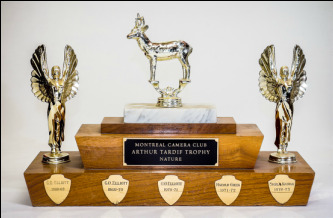 ​The Henri Vautelet Memorial Trophy is awarded to the Class A member having the highest aggregate score for 12 Nature Images submitted during any one year. No more than 10 images may be in any one category (Ornithology, Botany, General or Zoology). It may be won any number of times. A certificate will be awarded to the runner-up. 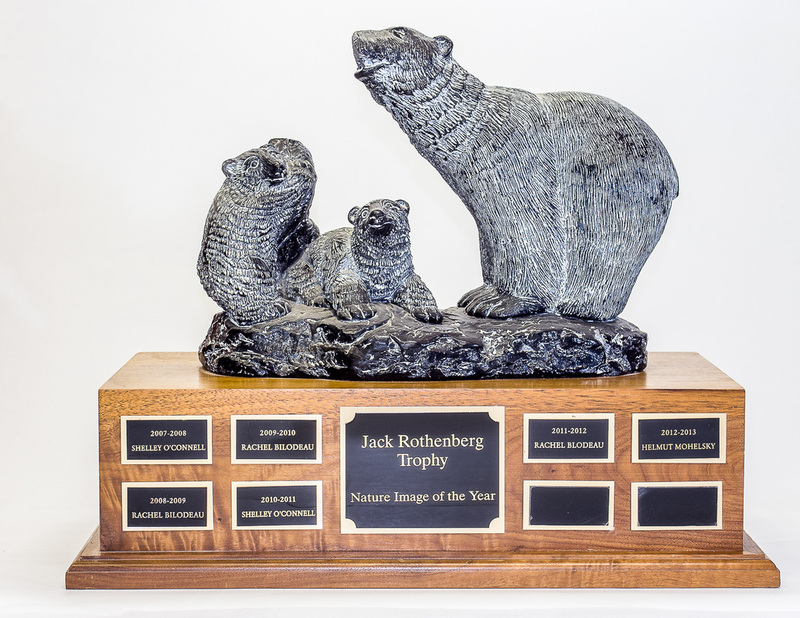 ​The Dorothy Benson Trophy is awarded to the Class B member having the highest aggregate score for 12 Nature Images submitted during any one year. No more than 10 images may be in any one category (Ornithology, Botany, General or Zoology). It may be won only once by any member. A certificate will be awarded to the runner-up. 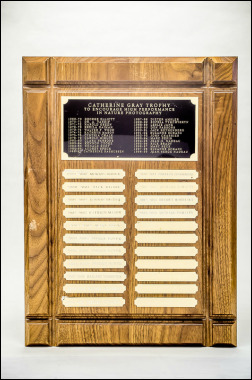 ​The Catherine Gray Trophy is awarded to the member having the highest aggregate score for all 15 Nature Images (maximum possible entry) submitted during one year. 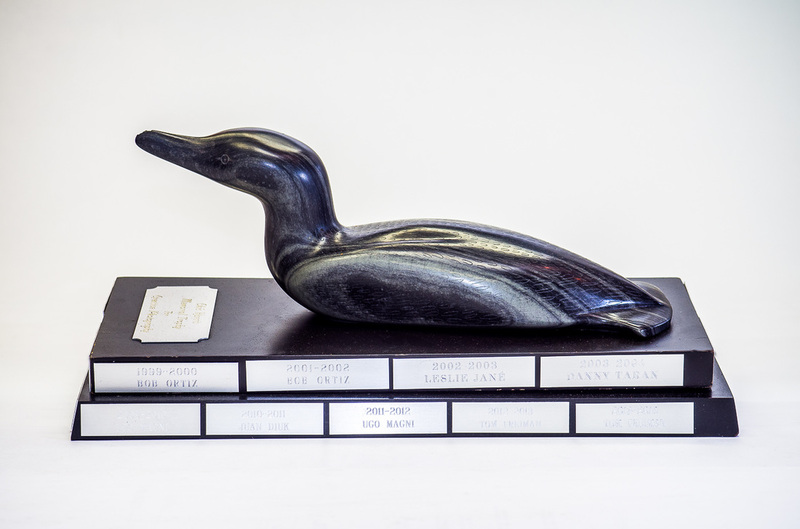 No more than 10 images may be in any one category (Ornithology, Botany, General or Zoology) and provided that any 10 entries received an Acceptance mark. 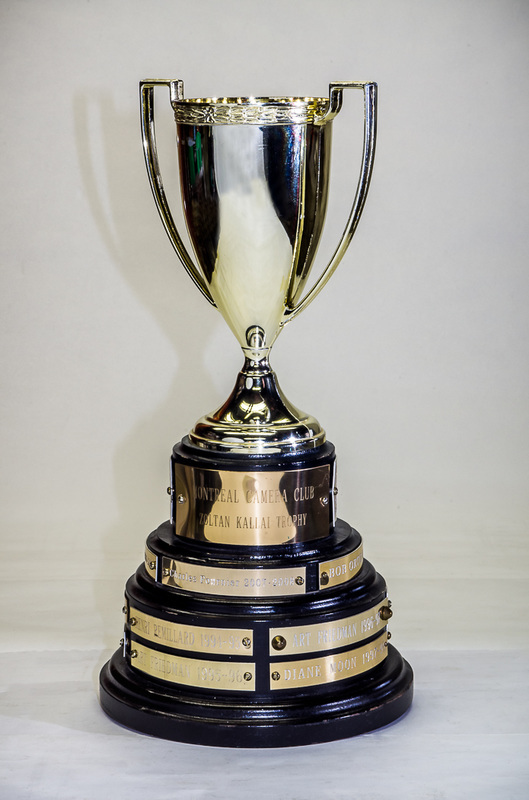 It is open to all members of Class A or B, but the winner of the Vautelet Trophy will not be eligible in that same year. The rules governing this trophy are to be reviewed by the Honours Chairperson and Club Executive every five years. 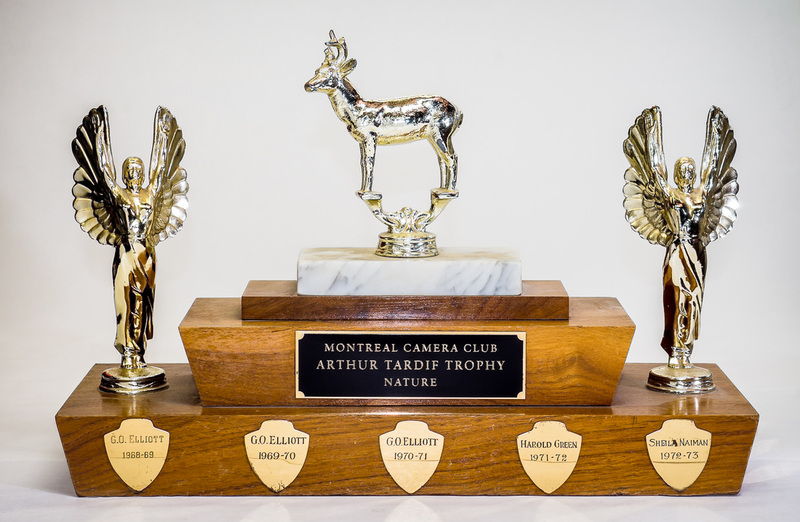 ​The Arthur Tardif Trophy is awarded to the member having the highest aggregate score for five (5) accepted images depicting “Ornithology” submitted during one year. Open to all members whether Class A or Class B, it may be won any number of times. 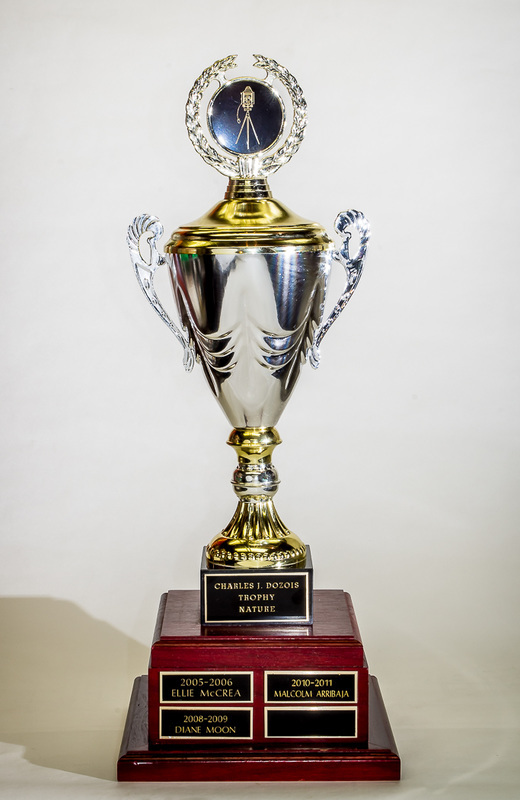 ​The Charles Dozois Trophy is awarded to the member having the highest aggregate score for five (5) Botany and/or General Nature images submitted during any one year provided that all five entries have received an Acceptance. Open to all members whether in Class A or B, it may be won any number of times. 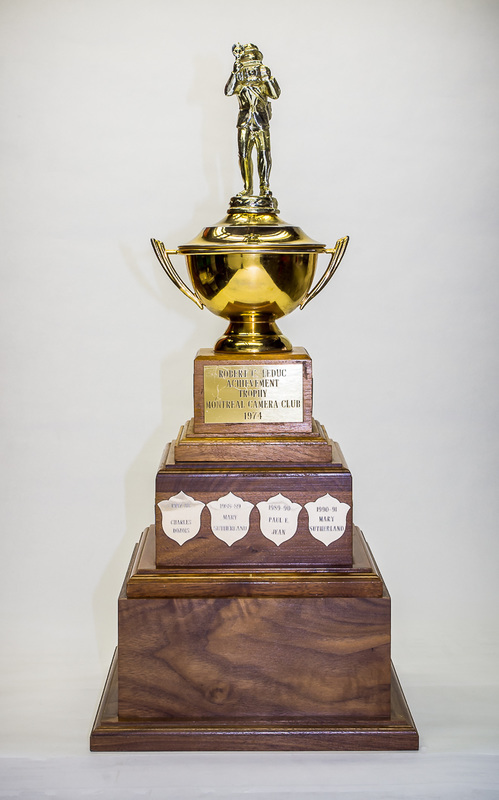 ​The Leduc Memorial Trophy is awarded to the Class B member who showed the greatest improvement in performance from one season to the next. The award will be based on the member's best 12 entries for each season with a minimum increase of 12 points between seasons. To qualify, the photographer must be a Class B member in the first of the two seasons under evaluation. 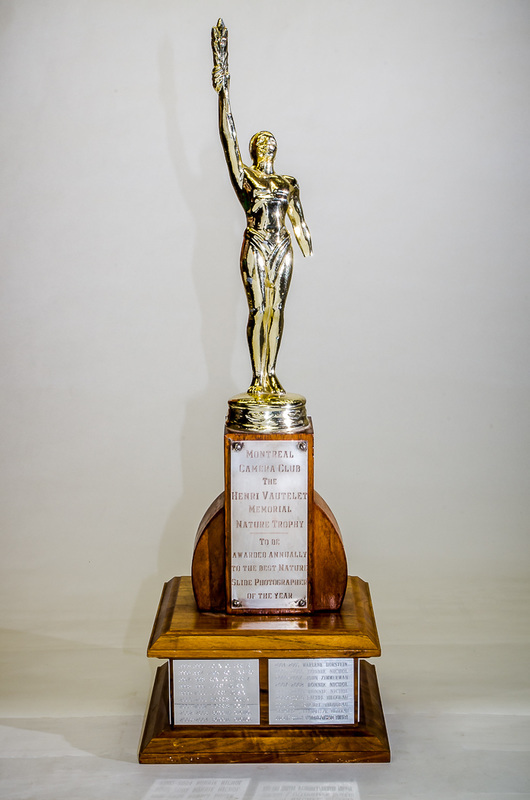 ​Category Awards. Merit awards are given to the photographers having the highest aggregate score for four images submitted in each of the three categories (Botany, Zoology, General) in the Nature Division. The J.W. 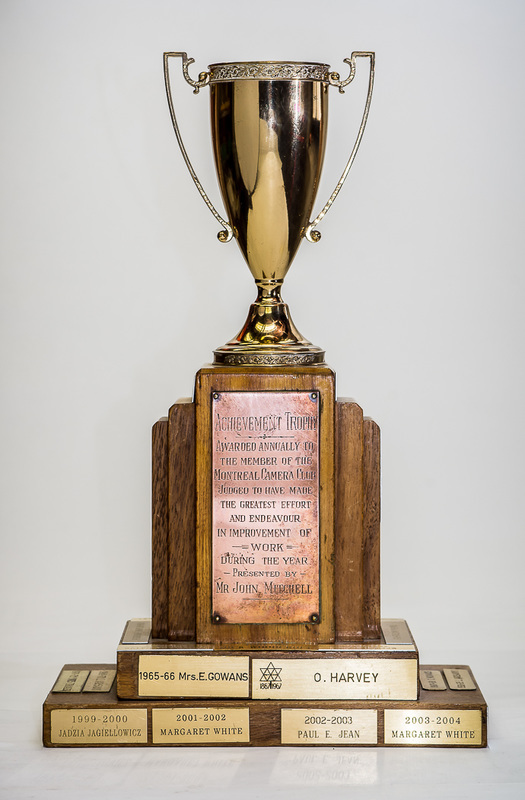 Campbell Memorial Trophy ​is awarded to the Class A member having the highest aggregate score for 12 prints submitted on at least three nights during any one year. No more than 10 prints may be in any one category (Colour, Monochrome or Creative). It may be won any number of times. 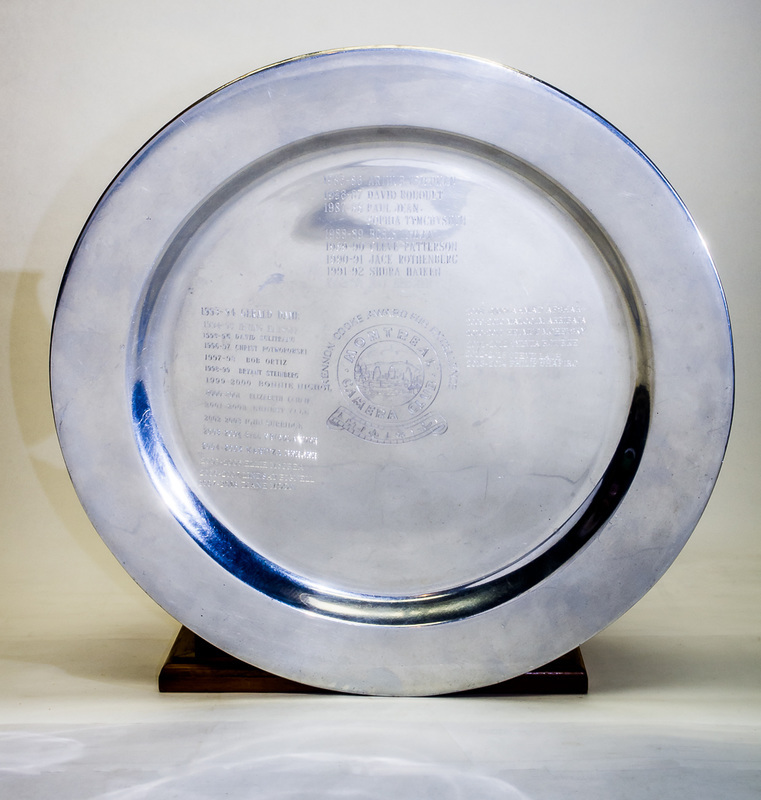 ​A certificate will be awarded to the runner-up. 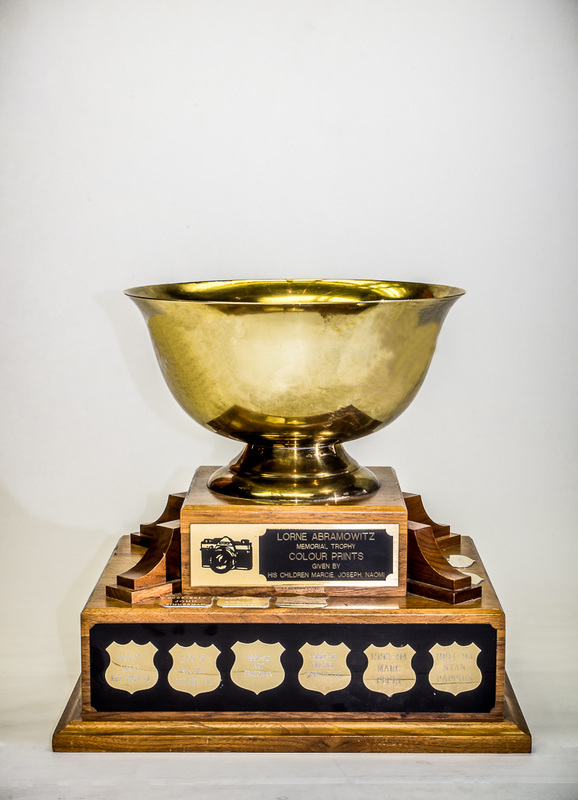 ​The Blossom Caron Trophy is awarded to the Class B member having the highest aggregate score for 12 prints with a minimum of 9 Acceptances, submitted on at least three nights during any one year. No more than 10 prints may be in any one category (Colour, Monochrome or Creative). It may be won only once by any member. 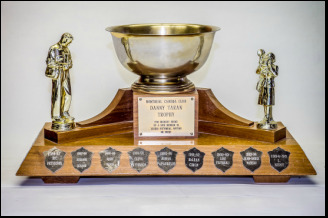 ​​The Rochelle Brayley Memorial Trophy is awarded to the Class A or B member having the highest aggregate score for five (5) Accepted “Creative” prints submitted during one season. 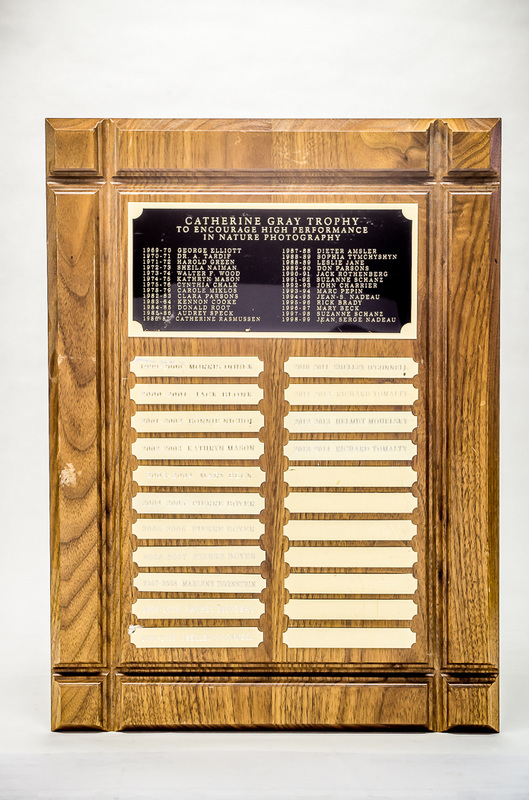 The member must designate each entry as “creative” at the time of entry; failure to do so renders the entry ineligible for the trophy. 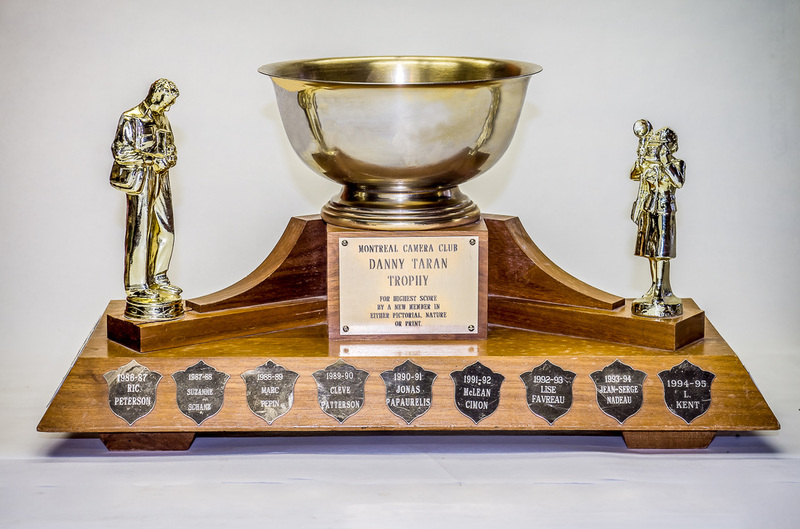 The winner of the J .W Campbell Memorial Trophy in the same year is not eligible. 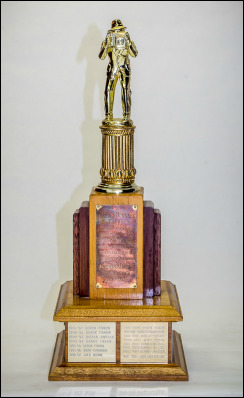 The trophy may be won any number of times. 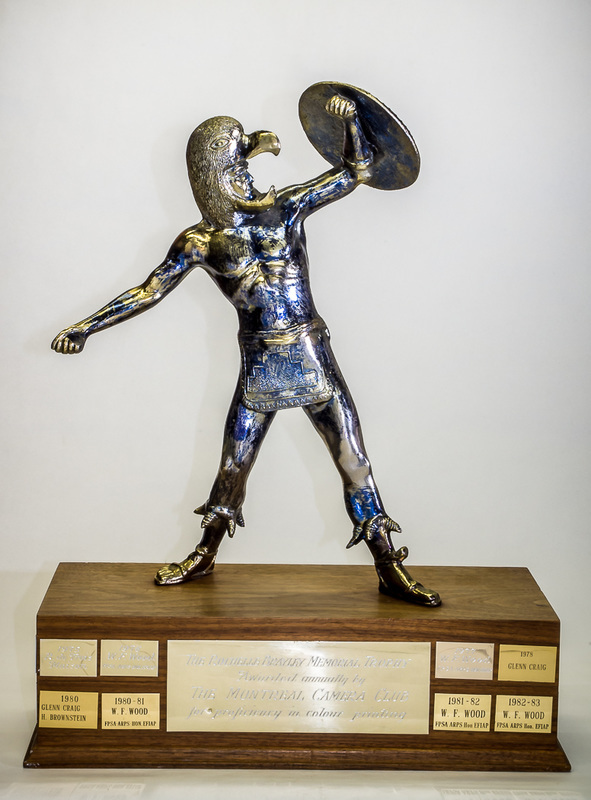 ​The Lorne Abramowitz Memorial Trophy is awarded to the Class A or B member having the highest aggregate score for 7 colour prints submitted on at least three nights during any one year. The winner of the J .W Campbell Memorial Trophy in the same year is not eligible. 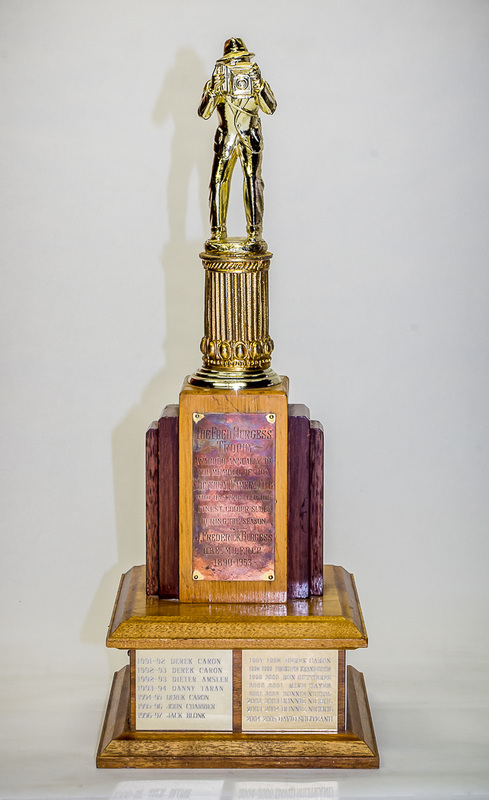 The trophy may be won any number of times. ​​The Joe Bell Memorial Trophy is awarded to the Class A or B member, having the highest aggregate score for 7 monochrome prints submitted on at least three nights during any one year. 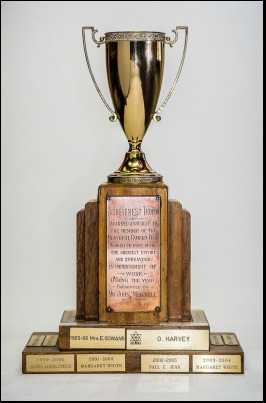 The winner of the J .W. 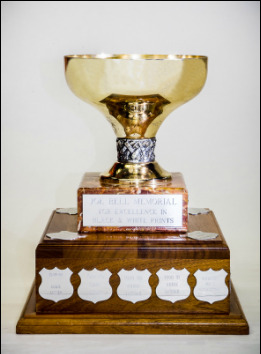 Campbell Memorial Trophy in the same year is not eligible. 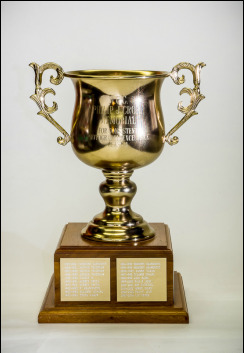 The trophy may be won any number of times by the same member. 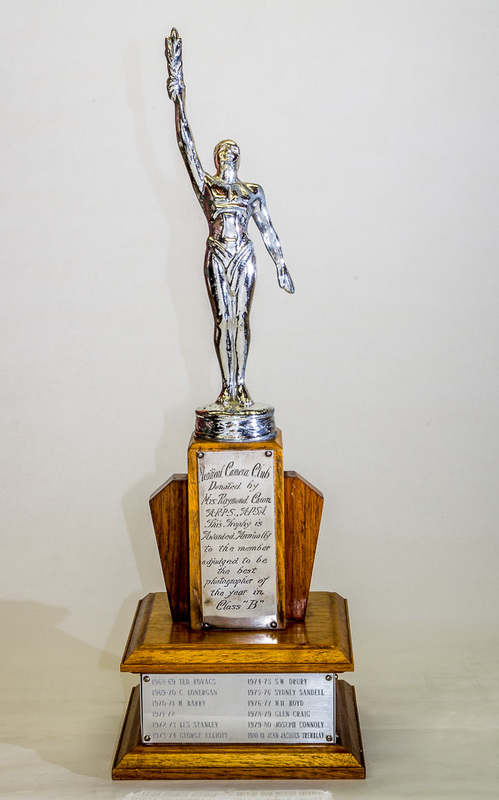 ​The Walter F. Wood Trophy for achievement is awarded to the Class B member judged to have shown the most progress during any one year, based on the average best six colour or monochrome or creative prints during the current year, when compared to best six for the prior year. 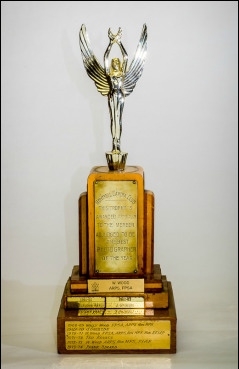 The Zoltan Kallai Memorial Trophy is awarded to the combined winner of two theme competitions held annually in the Print Division. 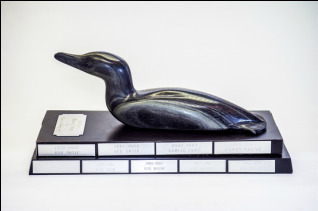 The winner must have entered both competitions to qualify and the trophy will be awarded for the highest combined score for his or her best print from each of the two theme competitions. 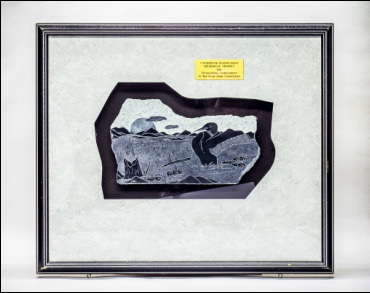 ​The Gino Maddalena Trophy for Monochrome Print of the Year is awarded to the maker of the Monochrome (B/W) Print selected as the best of all accepted monochrome prints during any one year whether Class A or B. The trophy may be won any number of times by the same member. The winner receives a plaque to keep. 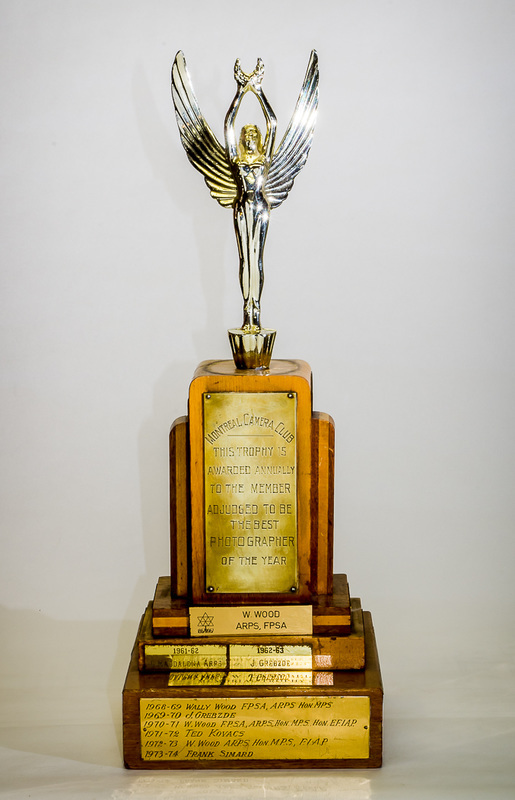 ​The Don Ridley Masters Trophy is awarded to the member who obtains the highest aggregate score in any one year for five Prints, five Pictorial Images and five Nature Images provided that each entry gained an Acceptance in the Club competitions of that year and the total aggregate score is no less than 1,125 points. 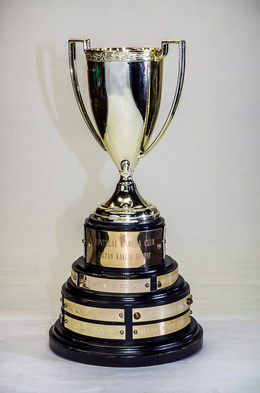 Fifteen different images must be used to win this trophy. Commercially printed or digitally manipulated prints are eligible. It is open to all members whether of Class A or B, and may be won any number of times by the same member. ​The Danny Taran Trophy is awarded to the new member who achieved the highest aggregate score for 12 entries in any one of the Print, Nature or Pictorial Divisions during the season. If the new member fails to submit 12 entries in their first season, then he/she will have one more opportunity in the second season. 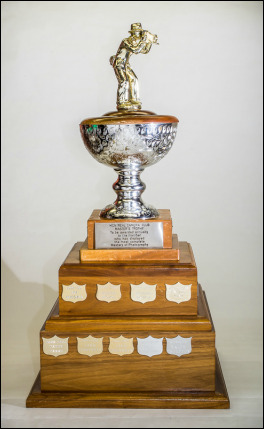 ​The winner of the William Spry Trophy, Dorothy Benson Trophy and Blossom Caron Trophy are not be eligible. 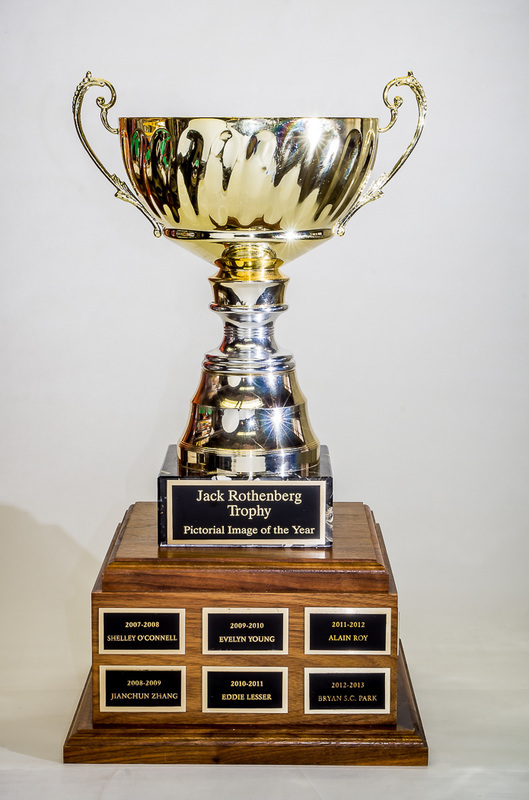 ​The Traders Group Gemboree Trophy is awarded to any member, whether Class A or B, who succeeds in winning the Gemboree competition held once a year. The winner shall have entered one image in each category to qualify and the trophy will be awarded for the highest combined score for his or her image from each category. The Executive Committee shall be responsible for organizing the competition and selecting the themes for that year. The number of theme categories will be at the discretion of the Executive Committee. ​​The Catherine Rasmussen Memorial Trophy is awarded to the winner of the audio-visual (slide show) competition held annually at the Montreal Camera Club. 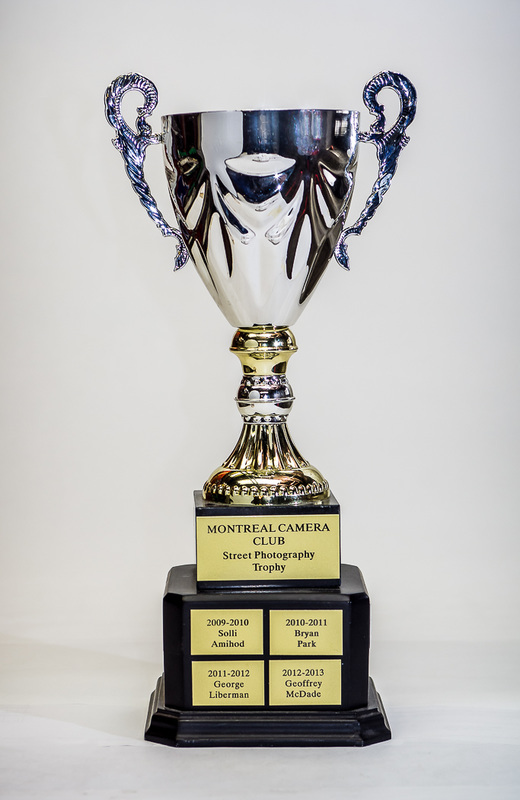 ​The Volunteer Trophy is awarded annually at the discretion of the Executive Committee to a member who has given outstanding dedication and service to the Montreal Camera Club.